CSU Deputy Vice Chancellor and Vice President (Administration), Professor Ken Dillon will be a keynote speaker at the Sustainable Economic Growth for Regional Australia (SEGRA) Conference. Charles Sturt University (CSU) Deputy Vice Chancellor and Vice President (Administration), Professor Ken Dillon will be a keynote speaker and panellist at the Sustainable Economic Growth for Regional Australia (SEGRA) Conference. Celebrating its 20th year, the SEGRA Conference is being held in Albany, Western Australia from 26 to 28 October 2016 and the theme is "naturally stronger regions: realising the potential". SEGRA is described as Australia's premier conference on regional issues and aims to assist regional, rural and remote Australia to source and identify the techniques, skills and issues they need to address to achieve successful economic growth and development. 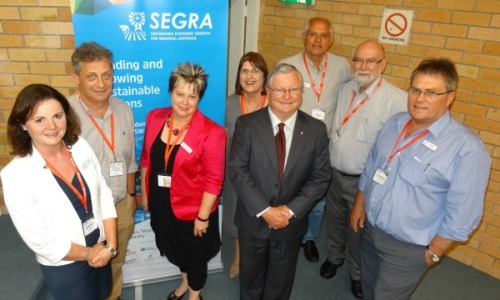 In November 2015, the SEGRA Conference was held at CSU in Bathurst. Professor Dillon said that following the 2015 conference CSU allocated $100 000 for two research projects in relation to what was dubbed, 'the SEGRA challenges'. "The first challenge considered developing start up and innovation ecosystems in regional Australia and the second, looked at providing secure and safe domestic water for rural and remote regions." Research into the elements of entrepreneurship ecosystems in regional areas and options for their development has been conducted by CSU's Associate-Dean of Research in the Faculty of Business, Justice and Behavioural Sciences, Professor Mark Morrison in collaboration with Professor Morgan Miles from the University of Canterbury, who is an international expert in entrepreneurship. Professor Dillon said, "Professors Morrison and Miles will be presenting their work on how to develop regional entrepreneurship ecosystems at SEGRA 2016. In addition, they'll also be discussing the accelerators, incubators and business support groups in towns larger than 20,000 people in regional Australia. "Professor Morrison has recently finished surveying 10 organisations in regional NSW and the preliminary results will be available at the conference." Professor Dillon said that already as a result of this preliminary work, the NSW Government is very interested in the review and the results of the survey of accelerators, incubators and business support groups in regional Australia. On the second SEGRA challenge, CSU's research into safe drinking water in regional Australia has been a collaborative research project led by Professor Max Finlayson Director of CSU's Institute for Land, Water and Society (ILWS) along with Adjunct Professor at CSU Peter Waterman; Mr Michael Kitzelmann, CEO of Etheridge Shire Council and Ms Kate Charters, Chair of the SEGRA Foundation. "This project identified the need for adequate and pathogen free domestic water for rural and remote regional Australia where residents are not protected by any environmental health regulations," Professor Dillon said. "Work on the first stage of the project, which began in April has involved pilot water quality surveys in the Gulf Region of Far North Queensland (Etheridge Shire) and the Darling Basin in southern Queensland. "In May this year 175 water samples and 80 questionnaires were collected from 152 properties throughout the shire which covers 40 000 square kilometres with a population of under a 1000. 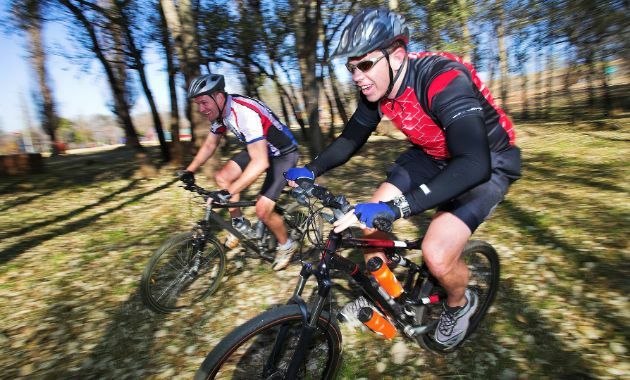 Sampling was done by Queensland Health and Charles Sturt University researchers have analysed the data." The safe drinking water research is ongoing but the researchers will discuss the initial findings at SEGRA 2016. Professor Dillon said he would also be on a SEGRA panel that would focus on naturally stronger regions: innovation through knowledge and technology and CSU's planned AgriSciences Research and Business Park, which is a perfect example of innovation and knowledge sharing in the regions. CSU Deputy Vice-Chancellor (Administration) Professor Ken Dillon is available for interview about the SEGRA Conference and his presentations on naturally stronger regions. CSU Professor Mark Morrison, from the Faculty of Business, Justice and Behavioural Sciences, is available to discuss entrepreneurship ecosystems in regional areas and options for their development. CSU Professor Max Finlayson, from the Institute for Land, Water and Society, is available to discuss the need for adequate and pathogen free domestic water for rural and remote Australian communities. Contact CSU Media for more information.